Ireland breaks the bank for his little daughter. In addition to a 12-metre indoor pool, spa bath, six bedrooms, cinema and snooker rooms in Prestbury, Cheshire, Ireland, his wife Jessicaa��s bedroom sports a brown, gold and black colour palette. The crowning glory though is the neon pink room for their daughter. With a princess-inspired theme, the room contains princess murals on the pink walls, a pink chair, bedspread and even ceiling. 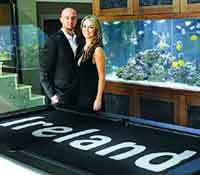 The multi-coloured home is topped off by a massive fish tank, a pool table with Irelanda��s name splashed across it and a garage with a pink-trim Range Rover. Captain of Argentina, Lionel Messi, has used the talent of Spanish architect Luis de Garrido to build himself a property designed like a football. Divided by a hexagonal pattern, half of the roof is covered in grass while the other is glass, giving it the look of a football. 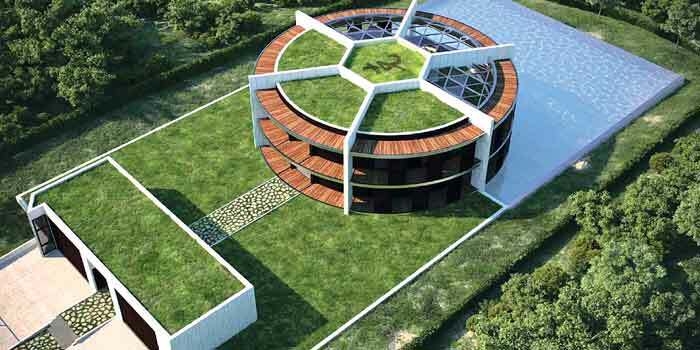 With the ground divided between grass and swimming pool, elevated gardens beside the circular shape of the house also translates into the forwarda��s shirt number a�� 10. 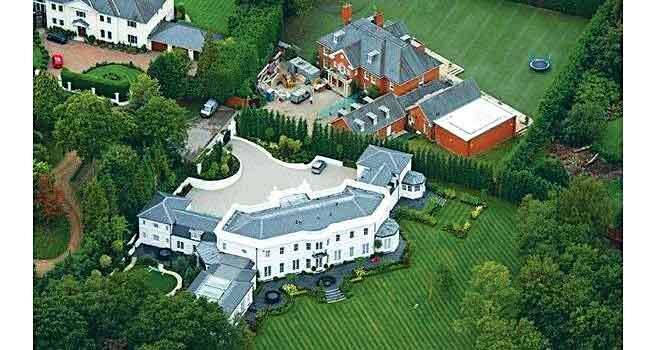 Chelsea captain John Terry really does like the high life and until recently, had a mansion to prove it. His mansion in Cobham, Surrey, where he is surrounded by other team mates and footballers, features nine bedrooms (for his and othera��s wives! ), an indoor swimming pool, Jacuzzi, steam room and even a fishing lake in the backyard. The house also sports a snazzy cinema theatre, an annex for staff and another wing for guests. Plus, an underground aquarium and a nuclear shelter. The England international recently sold his dream home, to Omani royalty for A?10 million. outside walls. 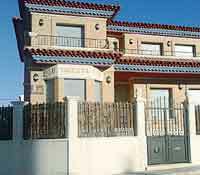 But very different from other lads in his profession, this Spanish star has a chapel at home, in addition to five bedrooms and a swimming pool. distraught with the look of the monstrosity they objected and won. The eco-home on the West Pennine moors near Bolton is a certified zero-carbon one and the first to be built in the North-West of England.